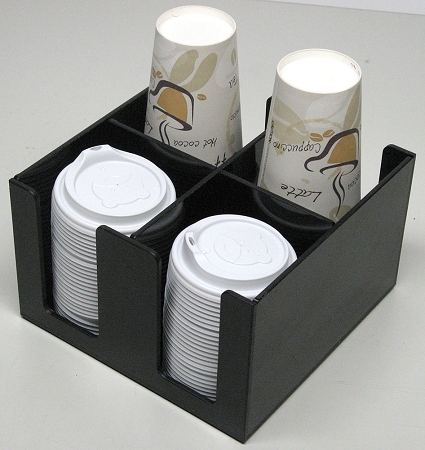 Our small coffee cup and lid holder is perfect for small establishments. With four 4” slots this unit will fit any type and size of cup. You can neatly store cups and lids sizes 8 ounces up to 24 ounces with ease. Total unit dimensions are: 4” tall by 8” wide by 8” deep.